Development in the telecom industry in the late 1990s gave rise to the demand of efficient billing system. But it is during last few years that billing system have received importance equivalent to other facets of telecom sector. Complexity related to mobile device technology and pricing have also paved the way for a robust system to meet the needs of the present digital era. Billing solution providers from across the globe have constantly added multiple features in their solutions to make sure both consumers and telecom operators do not face any billing related issues. Call detail records (CDR) – CDR contains billing information related to specific call. Major constituents of CDR include call time, duration of call, destination and source number etc. Guiding – The guiding application has the role of matching call records with calling tariff of the customer. Rating engine – During billing, this system provides value to the call that is incurred on an account. Billing – Rated calls of last 30 days are gathered in this system. Also, taxes, discounts and promotions are calculated. Mediation – This process basically includes collection and validation of call data from network devices like switches. Bill cycle – Customers are divided into several batches by billing system with each group having a separate bill cycle. Through this system, only a batch of customers is billed at a time. The telecom billing systems enables the companies to provide detailed bills to the consumers which contain all the details related to outgoing calls and other services. 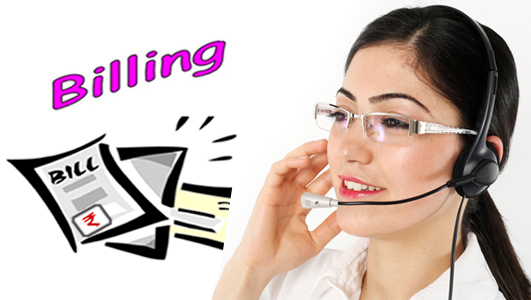 The telecom companies with huge number of customers need to ensure that billing system is error free. This is where the telecom billing solution providers act as rescuer by generation 100 percent error free bills. Through a robust billing system, the customer service executives can easily produce the details of the customer in case of any query. This helps in increasing the number of satisfied customers which ultimately helps in retention of customers. An advanced billing system ensures that duplicate records are purged off from the system which ensures that there is no redundancy. Also, fake information like social security number is also detected by these systems. Telecom companies change tariffs of their services on regular basis due to multiple reasons. A cutting-edge billing solution ensures that the changes in the tariff can be implemented easily in the billing process. With the advent of smart devices in the market, telecom companies have adopted the use of e-bill statements which saves a lot of cost to the company. The costs related to paper, printing and bill distribution are saved by paperless bill generation through billing solutions. Cloud computing – Upcoming years will witness the implementation of cloud-based solutions in telecom billing solutions by almost every service provider. Cost control is one major perk associated with cloud technology in telecom billing process. Another benefit associated with cloud-based technology is effective security of data. Scalability using this technology is another factor which ensures that its demand in telecom market is going expand exponentially in future. Convergent billing – Convergent billing is also growing popularity on constant basis due to its multiple benefits. Convergent billing can be generally defined as type of billing system in which all the bills from the single operator like data charges, postpaid mobile bill and IPTV can be generated on a single invoice. Cost of implementing and marketing different services can be controlled with this process. Also, it helps the companies to attract customers by providing bundled service packages at discounted rates. Self-service – Various telecom companies are providing self-service facility to the users through which consumers are able to modify their plans and manage their accounts easily by themselves. This will reduce the requirement of customer care agents in the future. In present scenario, it is difficult to imagine the telecom industry without a good solution. So, telecom companies must reinforce their business by using top-notch telecom billing solution.